From Crowded Coop. Want to take a 3 course meal on your spaceship, but don't have enough room in your bag? 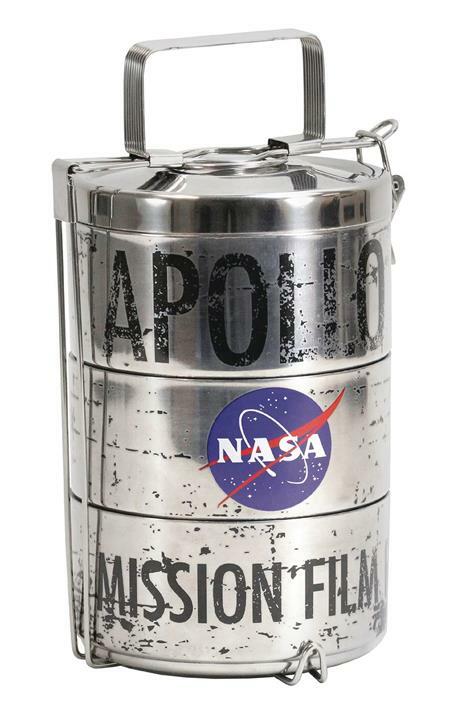 This set of Nasa Apollo Moon Landing Film Canister Lunch Tins is the answer you've been looking for! The 3 separate compartments mean you can take a variety of different items! The first tier is great for liquids, with all tiers keeping cold food cold and hot food hot. Just pack it, stack it, and go!